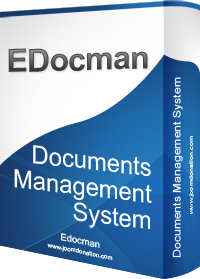 EDocman is an Electronic document managment sysem /download manager extension for Joomla 1.6, Joomla 1.7, Joomla 2.5 and Joomla 3.0. Building on top of access controll system (ACL) of Joomla 1.6, Joomla 1.7, Joomla 2.5 and Joomla 3.0, It give you a very powerful, flexible permission system which you can use to control who can view, download, manage (edit, delete, publish, unpublish) your documents from both front-end and back-end of your site. Nested categories : EDocman allows you to organize your documents cross infinite categories and subcategories. You can upload thumbnail for your categories (the system will resize it to a configured width and height). Herachical folder structure : Unlike other files download extension using just one folder to store all files, EDocman allows you to put your files in a herachical folder structure (the folder structure is based on the categories structure which you setup - each category will have it's own folder to store files as state above). Multilingual support: If your site is multilingual, when you create categories, documents, you can assign them to a language. And when users browse categories, documents from front-end, only categories and documents assigned to that language (or all languages) will be displayed. Also, you can translate all language string (both back-end and front-end) to different languages. Upload and associate one file with this document (or choose file from list uploaded files on your server). Set access level (users with what access level can view it). Setup meta data : meta keywords and meta description. In case your document is stored in a remove server, you can enter url of that document. Front-end documents uploading / management . Allows setting a document become HOT, FEATURED. TAGS support: Allow you to enter tags for your document. On document detail page, all tags of this document will be displayed and users can click on a tag to see similar documents (which has same tag). Local / remote files support : Your documents can be stored on your local server or on a remove server. In case your documents are stored on a remote server, you will just need to enter url of the document when creating new document. Using Powerfull Joomla 1.6, Joomla 1.7, Joomla 2.5 ACL feature. Permission can be inherited in the following structure Component Level >> Category Level >> Sub Categories >> Documents. You can even only give one or several users to access to a category or document by entering ID of these users into User IDs field when creating category/document. Search Module allows searching for Documents based on keyword and category. Indexer plugin allows indexing content of PDF and Word documents and make it possible to search for these documents not only by title and description but also by content of these documents. JComments integration : EDocman is integrated with JComments allows your site users to post comments in document detail page. BULK IMPORT : Allow import all files from a folder/directory into EDocman within one click. Security : All your documents are protected and users cannot download them even they know the direct link to the document. You can also store documents outside the root of your website (anywhere on your server) . Support sh404sef : EDocman has a sh404 to generate SEF, nicers urls in the extension. Modules to display Latest Documents, Most Popular Documents and Top Downloads document.